The stimulus could have done more good had it been bigger and more carefully constructed. But put simply, it prevented a second recession that could have turned into a depression. It created or saved an average of 1.6 million jobs a year for four years. (There are the jobs, Mr. Boehner.) It raised the nations economic output by 2 to 3 percent from 2009 to 2011. It prevented a significant increase in poverty  without it, 5.3 million additional people would have become poor in 2010. How incredibly gifted are the members of today's New York Times Editorial Board! Of the literally uncountable factors that influence an economy, to know that "the stimulus" did all the "good" that's been done over the past few years is utterly amazing! Unbelievable even! Literally, unbelievable! Well, I'm guessing that if you happen to be a committed Democrat, you share that New York Times state of mind all day long. And if you're a staunch Republican you see it as the worst sort of political hogwash. Now ask yourself, Mr./Ms. "Conservative", and answer honestly, if a Republican had resided in the White House over the past five years---all else, in terms of economic performance, being equal---would you not indeed be trumpeting those very same numbers as testimony to the efficacy of your ideology? 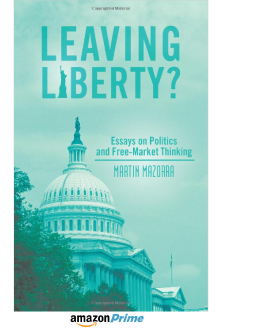 In "Products of Our Environment", the last essay in Leaving Liberty? (shameless plug, my bad), I confessed that I am no less a product of my environment than is my son's former college professor. 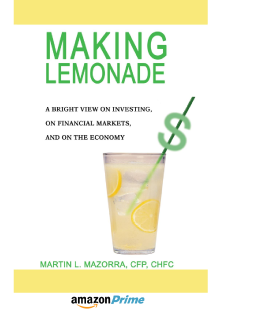 That said, as my first book Making Lemonade (sp, mb) attests, I at one time suffered (unwittingly) from a touch of Keynesianism myself. However, the few subsequent years of observation and study have entirely purged my mind of any belief that prosperity can be had at the hands of politicians, be they "liberals" or "conservatives". So then, the fact that I did not confine my studies to but one ideology proves that I am not merely a product of my environment, right? Well, alas, I suppose it doesn't---in fact I know I spent more time on Hayek than I ever did on Keynes. And, besides, if my convictions haven't indeed sprung from the seeds strewn along my path, would that not leave me the victim (or beneficiary) of my genetics? And of course there can be no genetic predisposition when it comes to ideology, right? I mean, surely, Krugman's "progressivism" and Limbaugh's "conservatism", for example, can only reflect their respective upbringings. Rewind and insert Baby Rush and Baby Paul into each other's environment, have each experience the other's experiences---the successes, the failures, the tutors, the molders, the shapers---and a bearded, medium-build tenor ultra-conservative would emerge to dominate the airwaves, while a full-figured bass-baritone would lever the Nobel Prize in Economics to become the "liberal" hack of a generation. Now, all that said, I guess I should Google "is there a genetic predisposition toward political preference?". "Political", as opposed to "economic", being the operative word, for when we're talking the New York Times Editorial Board and the Krugmans and Limbaughs of the world, their politics unequivocally determines their economics. In numerous studies, involving different time periods and populations, it has been reported that genes contribute significantly to the variation in liberal and conservative political attitudes (Hatemi et al. 2010; Martin et al. 1986). However, any pathway from DNA to social behavior is certain to be convoluted, involving networks of genes, genetic expression, multiple intervening neurobiological processes, development, and a multitude of environmental contingencies. Okay, so perhaps there exists some genetic linking that would bend one's thinking in a certain political direction. That's fine. However, and here's the point I'm hoping to make, while both sides---predisposed environmentally or genetically---may be miles apart when it comes to public policy, there is one place where they stand firmly together: Both sides possess an intense desire to limit the freedoms of others.